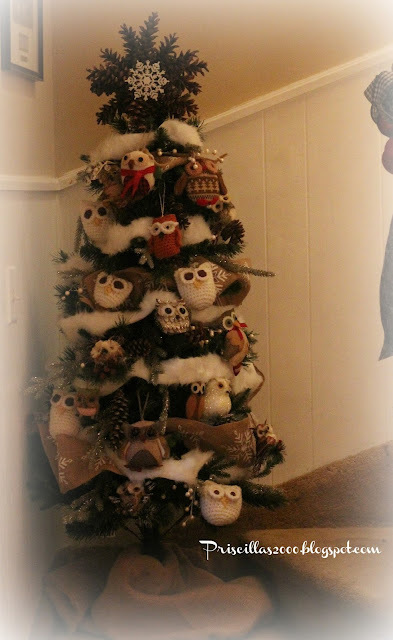 This is the owl trees 3rd Christmas ..I added a few new ornaments this year and also the white fur garland.. 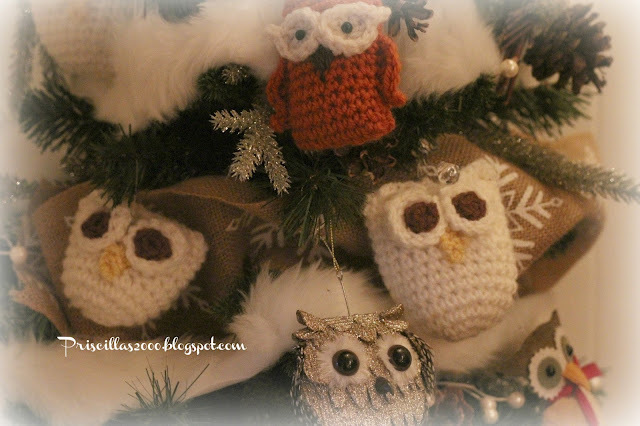 I made the crocheted owls and you can find the pattern here.. 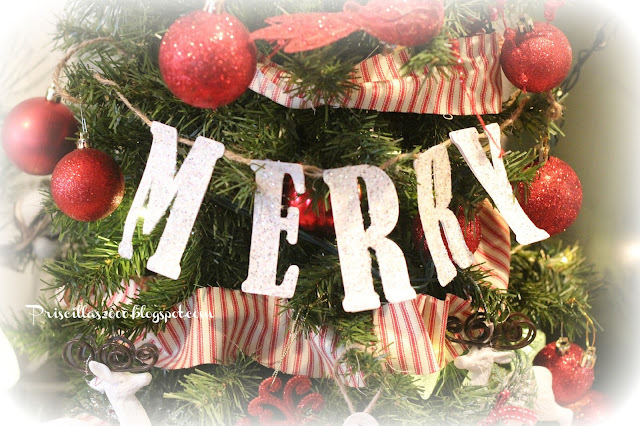 The bottom is wrapped with a piece of burlap..
last year I decorated it in red and green ..this year red and white..with strips of red ticking for the garland.. 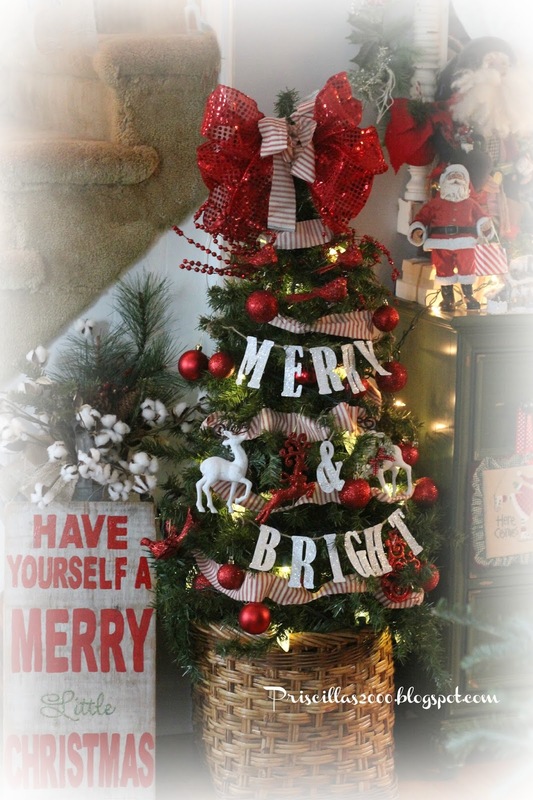 The letters are from my scrapbooking "stash" and I glittered them and added them to some jute..The white reindeer ornaments are form Walmart .. Both of these trees are 4 feet.. 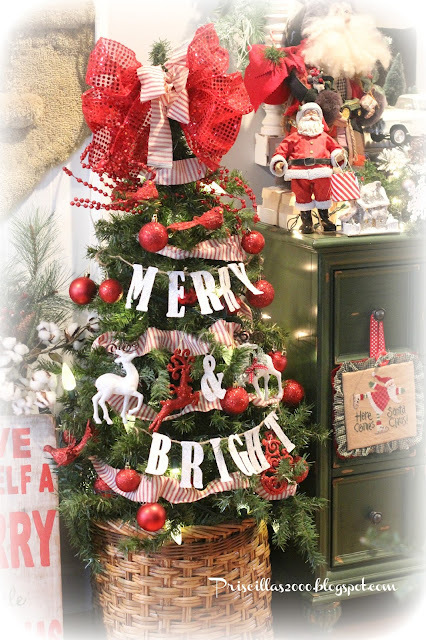 Your trees are just so charming, Priscilla! Hope you're doing well. Your trees are all beautiful. I love the crocket owls. You've done a fantastic job. Oh your house is so amazing. I love the owl tree so much. Love them both. Pinned to my tree board. 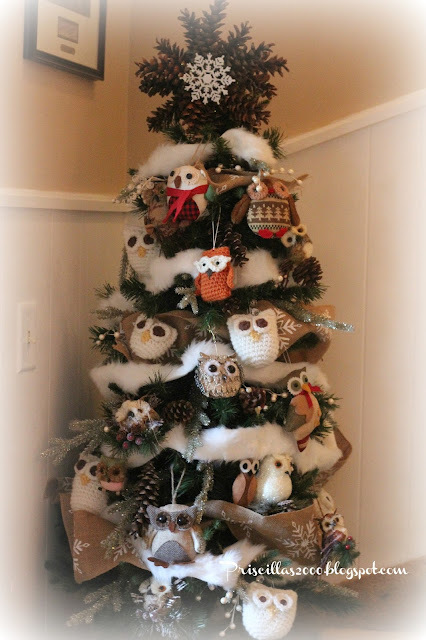 Love the owl tree. It us wonderful! I do love that owl tree. Both are so cute and you can leave the owl tree up as is for Winter!! The red ticking used as ribbon is a great idea! !